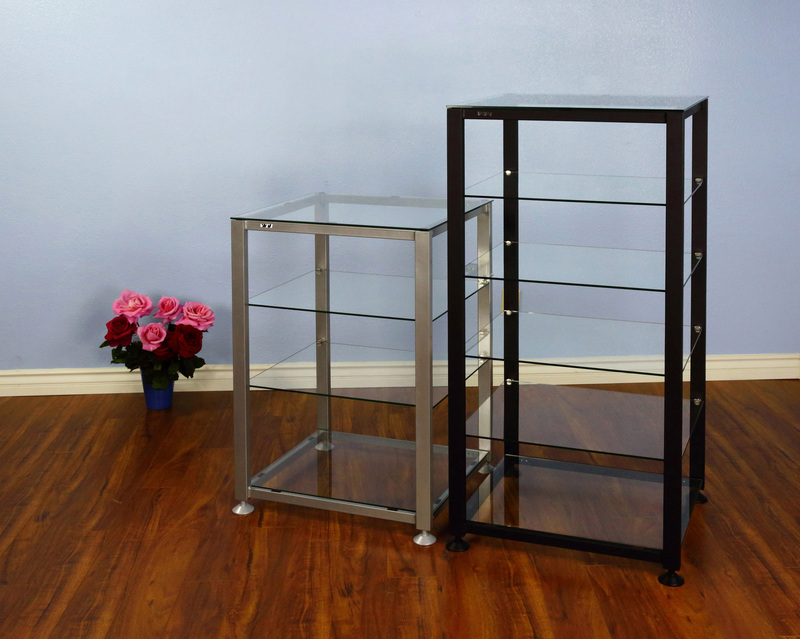 Beautiful clear temper glass rack comes in 4 or 6 racks. Most affordable value added product in the market place. Adjustable leveling foots for balancing and all flooring needs. Top or bottom shelf weight capacity 150 lbs and middle shelves support up to 60 lbs.